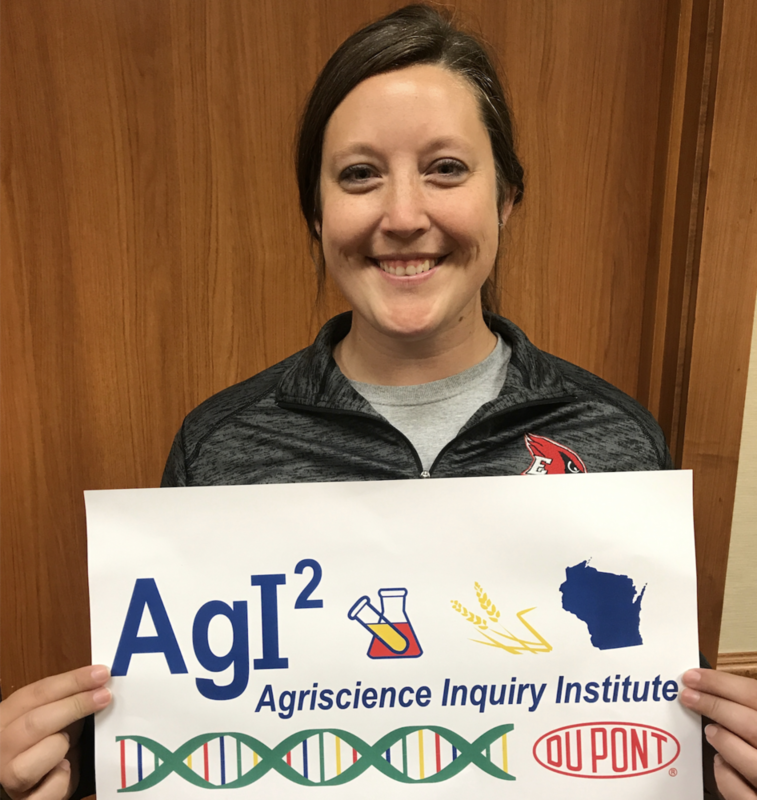 At the Wisconsin Association of Agricultural Educators (WAAE) Conference, Cera Eberhardt was selected to attend an Agriscience Inquiry Institute hosted by the National Association of Agricul- tural Educators (NAAE). This professional development focused on teaching agricultural educators how to incorporate inquiry- based learning into their courses. Throughout the training, teach- ers engaged from both the perspective of a student and teacher. The goal of the program is to improve student performance on standardized tests through the methodologies of inquiry-based instruction and activities in the agriscience classroom.